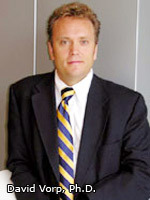 Regenerative Medicine Today welcomes Dr. Bryan Tillman. 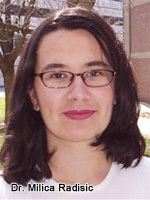 Dr. Tillman is an assistant professor in the Division of Vascular Surgery at the University of Pittsburgh Medicine Center as well as a practicing clinician. Dr. Tillman discusses the applications of tissue engineering to construct replacement vessels for patients with peripheral vascular disease. 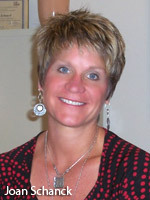 For more information about the Dr. Tillman, please click here. 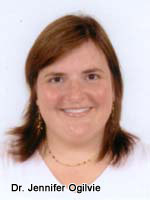 Regenerative Medicine Today welcomes Marie Csete, MD, PhD. 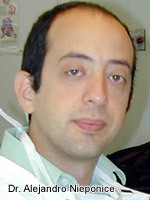 Dr. Csete is the Chief Scientific Officer at the California Institute for Regenerative Medicine. Dr. Csete discusses the origin of the California Institute for Regenerative Medicine as well as what she sees as the future of regenerative medicine and stem cell therapies. For more information about the California Institute for Regenerative Medicine, please click here. Dr. Kim S. Jones visits Regenerative Medicine Today and gives us an insight into her exciting research in regenerative medicine. 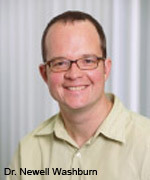 Dr. Jones is an Assistant Professor, Department of Chemical Engineering, McMaster University. 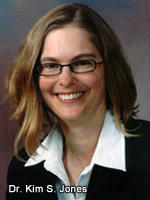 Her research interests center on the interactions between tissue engineering and the host response. Tissue engineering is intended to repair, replace or regenerate diseased or damaged tissue. Typically, tissue-engineered constructs are composed of a biomaterial scaffold and functional cells. Such constructs are intended to supplement the supply of organs for transplant. Examples include vascular grafts, skin, artificial kidneys, livers and hearts. Dr. Jones research uses prototype systems to focus on two fundamental issues. When a body receives an implant, it responds with scarring, inflammation, wound healing or regeneration. It is thus inevitable that tissue-engineered constructs will be remodeled once implanted. Her goal is to divert the remodeling response toward regeneration, but this may be confounded by the nature of the implant. Many of the mediators and cells involved in immune and inflammatory responses are also involved in wound healing and regeneration. As such, we expect that methods used to minimize damaging responses will interact with regeneration. Understanding this interaction is critical in order to direct intelligent design for the next generation of tissue engineering. On the podcast, Dr. Jones describes her work and shares her vision for the future. 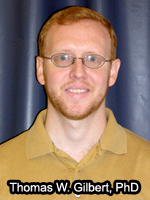 Details of Dr. Jones’ work are available here. Dr. Anshu Mathur visits Regenerative Medicine Today and introduces us to her exciting research on regenerative medicine. Dr. Mathur is an Assistant Director for Research at the Laboratory of Reparative Biology and Bioengineering at M. D. Anderson Cancer Center. Dr. Mathur’s research objective focuses on elucidating the cell-cell and cell-matrix interactions in tissue engineered constructs developed from biologically derived materials for the treatment of chronic dermal wounds, where mechanical coupling of cell-matrix interface leads to contraction of the wound and cell-cell coupling is required to vascularize and activate normal scarring. To elucidate the therapeutic effects of chitosan-fibroin biopolymer blends on matrix-remodeling in order to transform the mechanical environment of the wound, redistribute cell focal adhesions, and influence mechanical properties of the cell and the matrix. To exploit silk fibroin biopolymer micro/nano structure to tissue-engineer a scaffold that supports angiogenesis in order to provide blood supply to a healing wound. To assess the synergistic effects of emodin loaded chitosan-fibroin nanospheres on chronic dermal wounds and scars by examining the RTK signaling to matrix adhesion sites in fibroblasts using TIRFM, thus providing a novel way to study therapeutic effects of drugs. Additionally, Dr. Mathur describes a new academic program in bioengineering that is under development at the M.D. Anderson/University of Texas at Austin. Details of Dr. Mathur’s work are available here. Dr. Michael Sacks visits Regenerative Medicine Today and discusses his work on the characterization of cardiac tissue and the various alternatives-now and in the future-for the repair of heart valves. 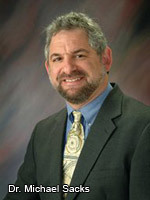 Dr. Sacks is the director of the Engineered Tissue Mechanics and Mechanobiology Laboratory at the University of Pittsburgh where the research focuses on the characterization and modeling of the structure-function-biomechanics of native and engineered soft tissues, and linking these studies to the underlying cellular mechanobiology. One of the areas of interest is on the mechanical behavior and function of mitral heart valves, including the development of the first constitutive (stress-strain) models for these tissues using a structural approach. Dr. Sacks shares his vision on the state of the art and his perspective on the future opportunities for heart valve repair for children and for adults. Dr. Stephen Badylak revisits Regenerative Medicine Today to share updates on his exciting studies on tissue engineering. 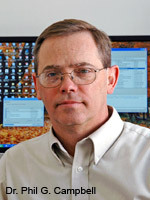 In February 2006, in Podcast #3 described his use of tissue engineering materials that helps heal skin wounds, torn tendons, injured rotator cuffs, hiatal hernias, and other soft tissue. In that podcast, Dr. Badylak recounted how he first discovered SIS (or small intestinal submucosa), the world-wide effort that helped to usher SIS from the lab to clinical use, and how the material works. 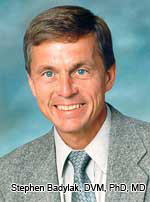 Dr. Badylak is a professor at the McGowan Institute for Regenerative Medicine and the University of Pittsburgh. For more information about Dr. Badylak, please click here.